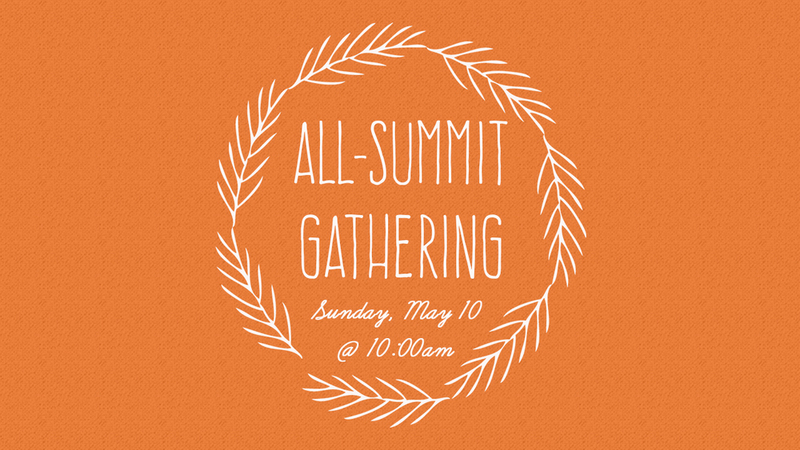 This coming Sunday (May 10) is our first ever All-Summit Gathering. It will be a unique morning of worship as we reunite both congregations (this Sunday only) and celebrate Mother's Day together as one big family. Please note, there will be no PM Gathering this Sunday. Following our gathering, we’ll enjoy a variety of light snacks and refreshments as we continue to celebrate together.